Recently, I wrote about being happy because it was Persimmon season around. Since then, I've had requests for even more Persimmon 411. Betty is here for you, my people. Stand no longer out on the porch in the bleak cold of fruit darkness. Step in to awareness and into the house of fruit where the warm orange glow of the persimmon hangs like a World Market Japanese lantern in the center of the room. 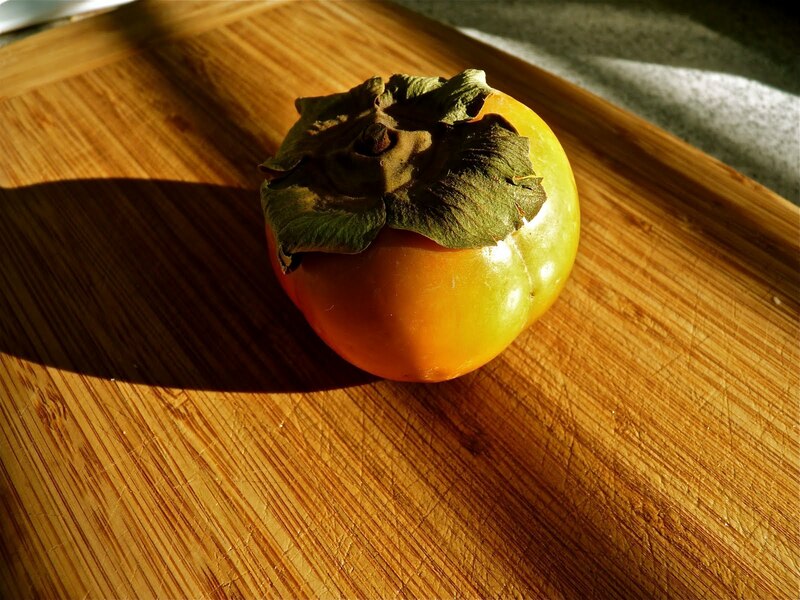 Around here there are two types of persimmons: the Hachiya and the Fuyu. Be careful--like fraternal twin sisters they look somewhat alike, but are different in some important ways. The Hachiya is heart-shaped, a little bigger on the top than on the bottom and is categorized as "astringent." Oh, she is indeed astringent" No doubt this term would have been inscribed below her senior picture as she stood posing for her picture in her cheerleader sweater that accented her bigger top half. Unfortunately, though beautiful, this fruit is not friendly at all while it is young and shows no mercy should you dare approach it before it is ready. One bite of an unripe Hachiya and your mouth will pucker up, you will roll on the ground and pray for mercy. Unfortunately, this sister has sent many men and women to fruit convents and monasteries, swearing off all persimmons forever. It's a shame really, because later on in life, she does become sweeter and more palatable. Like many fruits/people all she needs is time, patience, and maybe some alcohol or or little carbon dioxide to soften up and become sweeter. Ah, but Hachiya's twin sister, Fuyu! She's the round gal pictured above. She might not have the body to be a cheerleader, but she is a cutie and so friendly too! (Think "Yearbook Staff.") She gets sweeter as time goes on, but is palatable at just about any time. 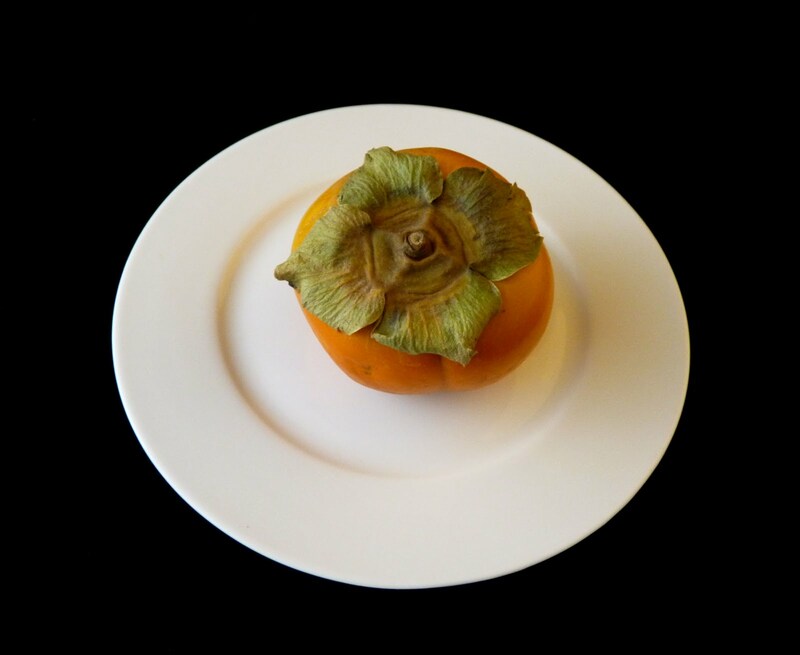 What I like about this persimmon is that it is a true and honest fruit, not overly-sweet or cloying. It is not sappy, syrupy, nor overly sentimental. She signs the yearbook she helped design in an efficient way, but does not promise to keep in touch. She knows her season here is short and accepts that she will never be a wildly-popular fruit and, by golly, likes it that way. So now that I have anthropomorphized this fruit, let's cut one open and look at the guts, shall we? Stay with me now and focus. Preparing the persimmon is complicated. Step One: Look longingly at fruit, admiring flower at top. Step Two: Chop off flower and throw away. Here's a persimmons tree that is about four blocks from our house. It is just along the street and as you can see, the owners have covered it with net, presumably to keep the birds from pecking at the fruit. However, what is currently bugging Betty is that those fruits are ready to come off and be eaten! They speak to me each and every time I walk by and yet, they remain on the tree. Have they been forgotten by the owners? Have the owners become weakened by a mysterious mold infestation on their home and they are unable to pick the fruit? Have the owners become too involved in running a meth lab in their suburban home that they no longer care about this fruit? Is it not my civic duty to liberate these beauties? I talk to HOB about this, clicking my scissors in the air and whispering "Its Harvest Time! It's Harvest Time!" and yet he shows, well, a lack of courage in this area. 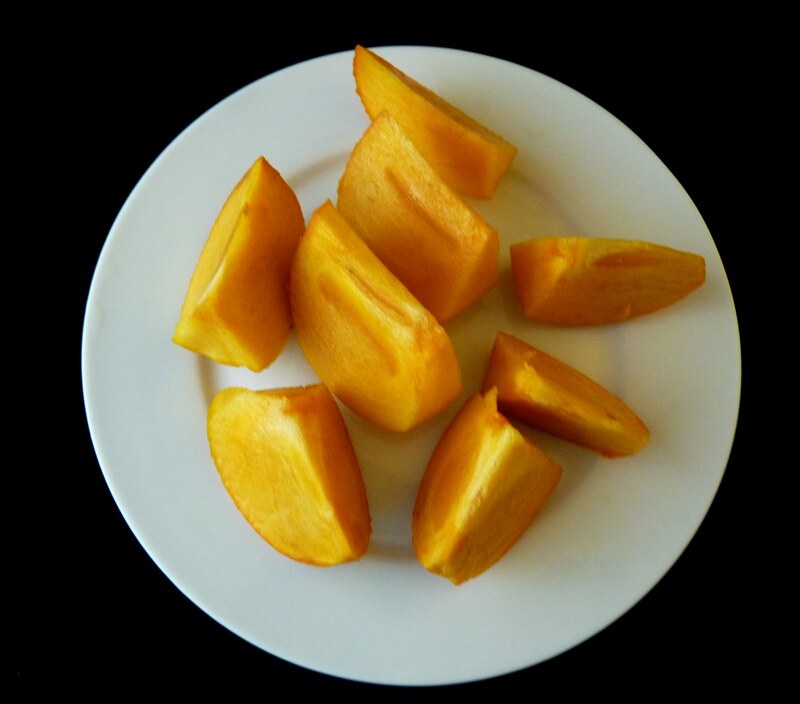 Until he decides to help me in my fruit-liberation campaign, I shall continue purchasing persimmons in the stores and enjoying them for the short time they are around. I hope you do the same! Thank you Betty for a most interesting post, a most enjoyable read and pics too. Thanks for the education, and making me hungry just looking at those beauties. You did get me at "Focus" that I can't do today. I too only require some alcohol or a little carbon dioxide to soften me up. Thanks for the info and the beautiful pictures! Another interesting post of yours. Hmm, those Asian varieties are much easier to eat than the native ones. No wonder they're so popular. I'm not taking any chances - if the persimmons has not served on the yearbook staff for at least two years, the deal's off! A most interesting (and funny) post. I have never had one of these but I shall have to try it. You've got me laughing again, Betty. I hope HOB works up enough pluck to help you trim that tree! And thanks for the education, I didn't even know what a persimmon looked like. BB thank you very much for the graduate level course on Persimmons. I now feel equipped to shop for and partake of them. You are the best always looking out for us. Thanks for the persimmon education. I feel totally qualified to go out and buy one now. Oh, Betty, I LOVE the turtles. Have ALWAYS loved turtles. LOVE, LOVE persimmons, though I don't get much chance to "dig in." 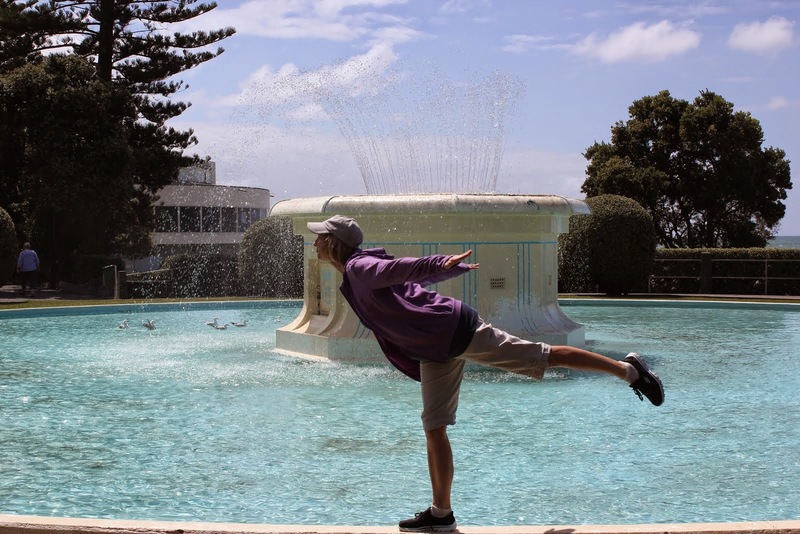 This has got to be one of the world's most fabulous blogs. you never know what you'll get!!!! I for one would join you in liberating these imprisonned persimons (or sharon fruit as I insist they are!!! LOL). I think we should don our black cat burglar outfits, wait for darkness to descent and with a handy pair of scissors, free the fruit!!! I'll help you with the harvest! Fuyu is the best when they are totally soft and chilled. But you forgot to skin it. I do believe the skin is unpallable. I had heard they needed a frosty nip to sweeten them up. I never had a ripe, but had one give me the pucker. I do hope you're sitting down. I wouldn't want you to hurt yourself as you faint. I've never had a Persimmon. GASP!!!!! Thanks i would never know what to do with one.. not sure my store carries them.. will look for sure. Well thank you for that. I'm one of those who has avoided them because my first bite of one was like eating antiperspirant (please don't ask me how I know this). Now I know better and I'm willing to give them another chance. There is a little old lady down my street who has 10 acres (compared to my 5) and the only agricultural tax exemption left in the city, I'm guessing. She is the owner of Katherine's Farm and right now she is selling persimmons. I have not bought any for I knew not what to do. But now I know! I must buy some! I have never eaten one, but now, you have convinced me to at least try one. Hm. I was going to say "liberate!" but Lin may (may) have a good idea. I wouldn't have thought of that. On the other hand, an evening stroll would have guaranteed results. It's not "theft," it's "creative redistribution of resources." And hey, if they're going to let them rot on the vine, it's even pragmatic and efficient. Wow! certainly learned my share about these persimmons beauties. Fuyu I want one!!! haha and the banana flower. Well, you have convinced me to give them a try! They sure a beauties. I've never had one of these - I will definitely have to broaden my horizons. And yes, you must go liberate a few of those fruits before they fall, unloved and over-ripened. It would be the neighborly thing to do! 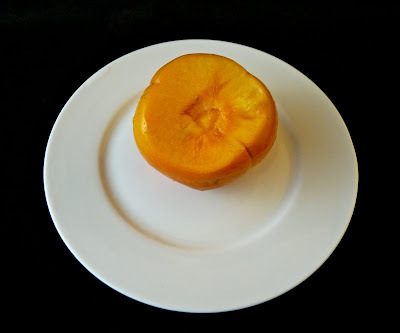 I have never had a persimmon and now I want one but not to eat I want to make sweet love to one. Is that wrong? I think maybe the net is to protect it from BB's hands...you really need to contact them if they are at the prime stage...we can't have them go to waste.. I totally appreciate the 411. Can I admit that I can't get past the fact that they look like yellow tomatoes?? 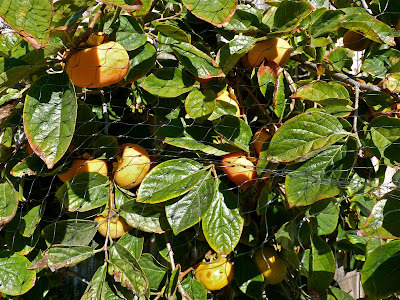 FREE THE PERSIMMONS! FREE THE PERSIMMONS! I'll be over on Sunday. 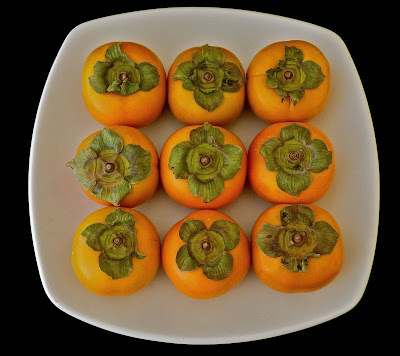 I love persimmons and just bought some yesterday. Yum! I actually have never eaten a persimmon. You have such a way with words! I love the way you think and write. I was expecting this post to be about something that I already knew but that's not the persimmon that I know - I thought I knew what I was eating when I was young but that's not it...it had a cut out or seed in the middle that looked a lot like a spoon. Hmm gotta figure out what that was! As far as you neighbors go - maybe they don't like them...I say ask - no need for them to go to waste. Persimmons were featured on California's Gold years and years ago. It must have been the Hachyhooha variety, because the little old lady (AKA The Persimmons Lady) seemed to insist that they were really only good for baking. I had my very first persimmons the other day and it rocked my world. Everything looks yummy! I hope you have a wonderful persimmon filled weekend! Thanks for the photo of the grown-up persimmon bush. I notice that most of the leaves look a little brown around the edges. I hope that is natural for our baby one has the same look. We are nurturing it as best we can as we love persimmons and they are fiendishly expensive here in Cape Town, South Africa. 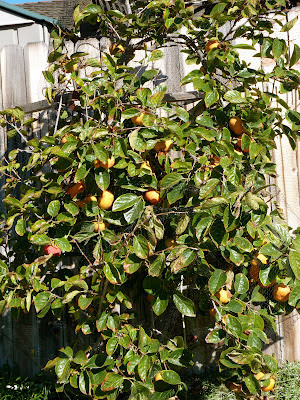 I just planted a Fuyu persimmon tree in my front yard. I'll bring you some of the fruit in about five or ten years.